All-in-one kit includes 1/2" polypropylene strapping, 400 steel buckles, and hand pull tensioner/cutting tool. 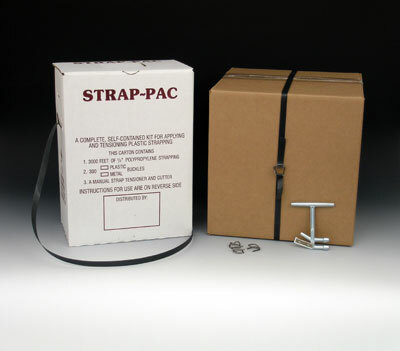 Extra-strong strapping is perfect for sealing cartons and securing light- to medium-sized loads. 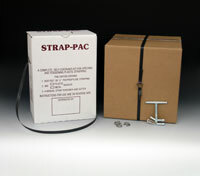 Strapping kits with plastic buckles that comply with postal regulations also available. Watch the video below to see how to use the strapping kit.